It was great seeing familiar and also new faces (hi Ann and Clarence!) 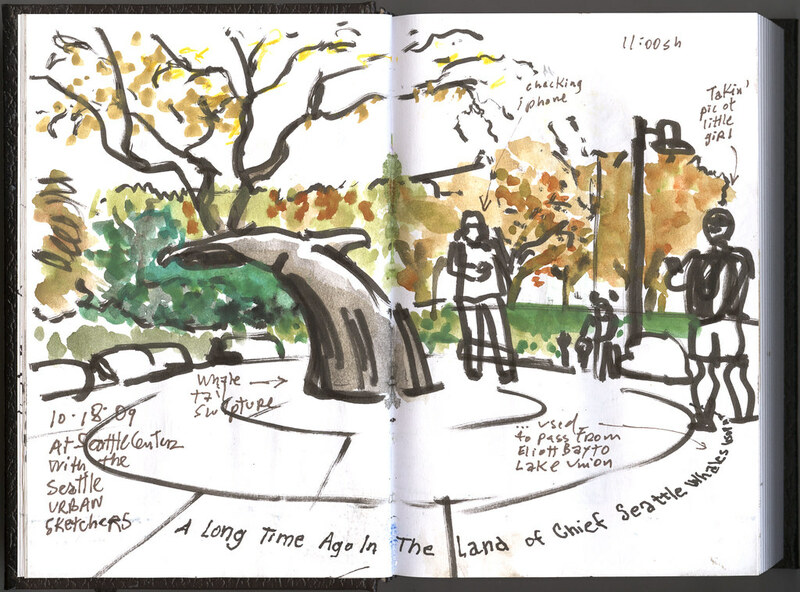 at today's sketchcrawl. I took the opportunity to experiment a little bit with a mix of media, pencil, gouache, a brush micron pen and the regular micron pens —including a 05 sepia color—, and even some color pencils. 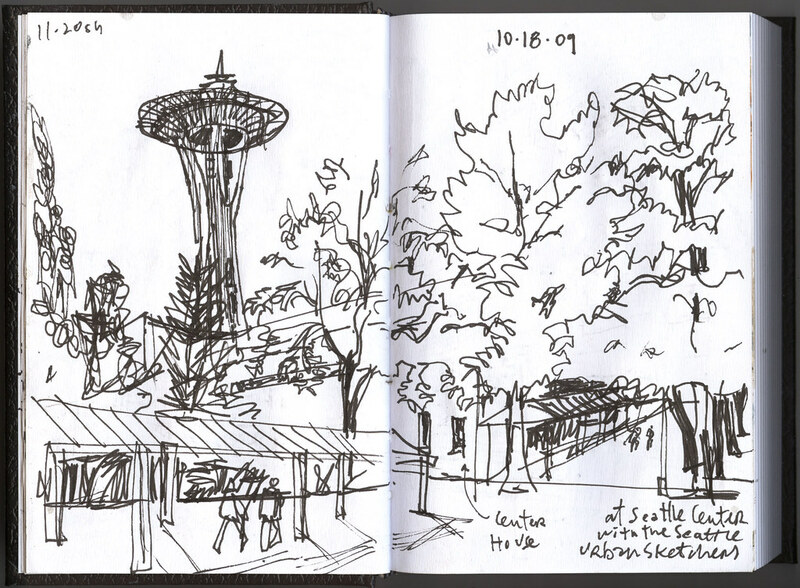 I figured I had to draw the Space Needle at least once, so I decided to get it over with on my first sketch. I had never paid attention to the writing next to the whale's tail sculpture: "A long time ago in the land of Chief Seattle whales used to pass from Elliott Bay to Lake Union." Interesting! I want to come back and draw this entrance to the Center House with some more time —even though I never seem to have patience to sketch for more than 20 or 30 minutes. The the art-deco features and the eagles are really cool. An attempt at a more painterly style was my last sketch of the day. This is a slide show of a set on flickr with photos from the day. 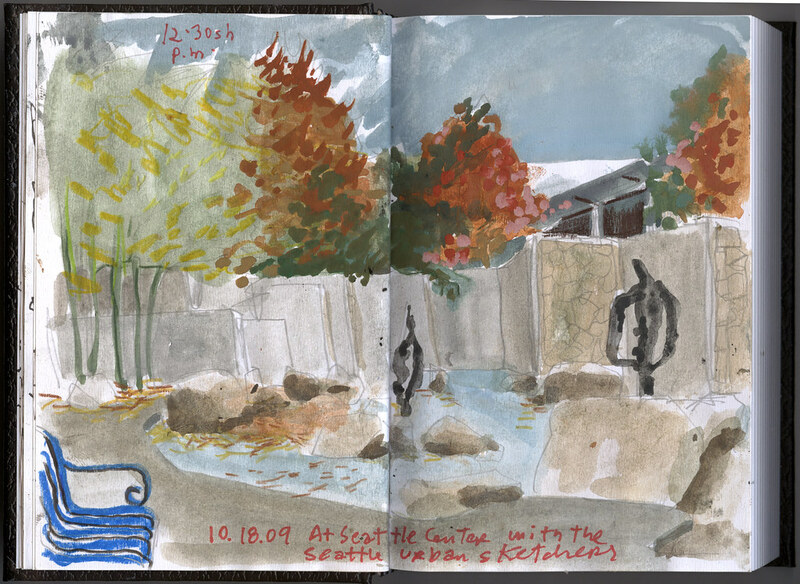 Don't miss Mark's customized tripod-easel and Will's versatile sketching kit. Very productive, nice sketch day you had! I enjoyed these different style/ technique sketches a lot. 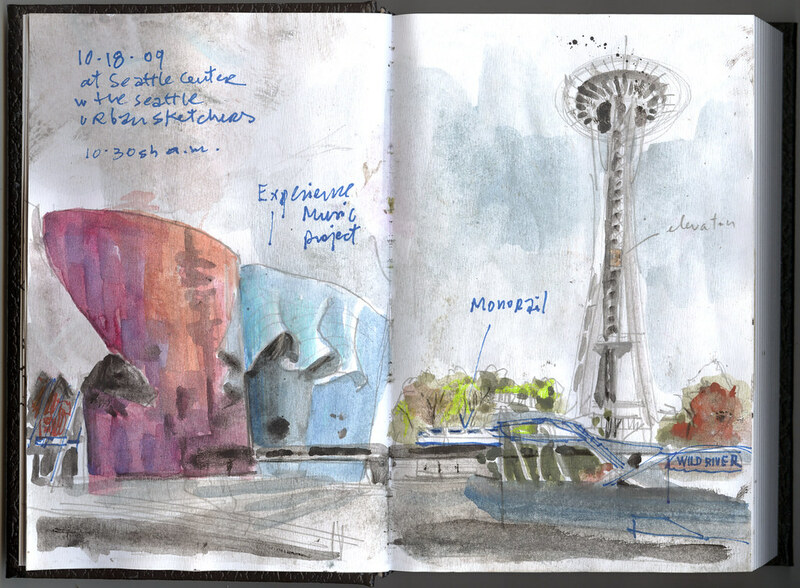 you really captured the atmosphere of the day in the space needle/emp one! thank you for making all this happen, Gabi! 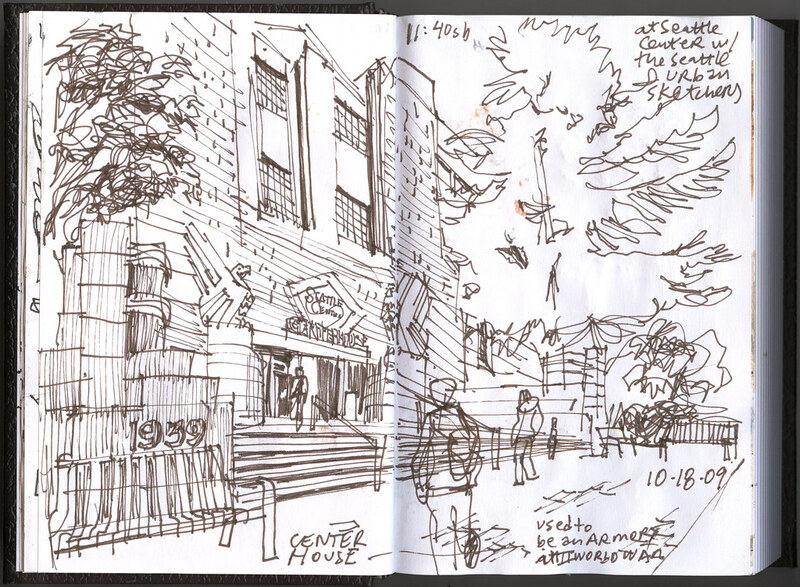 especially love your sketch of the entrance to the center house, feels so breezy!